The sensational Japanese trio that took the London NABBA Mr. Universe by storm in 1976 captured on film as they oil each other, pump up and pose. Three champions solo and group posing in the classy atmosphere of London's Hyde Park Square, filmed on the very day of the 1976 Mr. Universe. This unique occasion and superb posing display will never be duplicated. The shoot actually stopped traffic with people lined up along the fences of the private square, watching this photography take place. It was incredible. SHIGERU SUGITA, a Mr. Japan, won the overall 1976 Mr. Universe title. The superstar of the session. KOZO SUDO, 1975 Mr. Japan, won the medium height class, and placed second to Sugita for the overall title. And finally, EMOTO MASASHI - an extraordinary young, ripped bodybuilder with an unusual posing routine. (Japanese segment approx 24 mins). KLAUS ASCHOBER - 1975 Mr. Germany works out in the gym. Then outdoor oiling, pumping and posing. 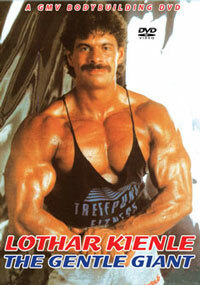 In this film, Klaus is featured in an intense gym workout as he works various muscle groups, and flexes to a full pump after each set. His favourite arm exercise was hammer curls on the incline bench. Klaus is in top contest condition, hard and shredded. This German segment took place thanks to the help of Wilfried Dubbels. The posing segment was shot on the edge of a forest near the outskirts of Munich on September 15th, 1975. Klaus is pictured top left rear cover above. (approx 21 mins). Please click here for Wilfried's DVD, PCB-586DVD. FRANCO COLUMBU - exhibition strength feats and posing routine. Rare footage of Franco doing bench press, deadlift and strength stunts. 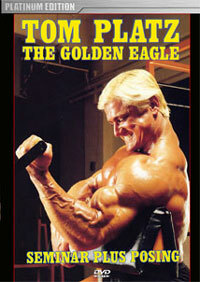 Franco (pictured rear cover) won the Mr. Olympia title in 1976 and 1981 and in 2009 received the Arnold Classic Lifetime Achievement Award. (approx 12 mins). All segments were shot on film, transferred to video, then digitally remastered to DVD with music added. 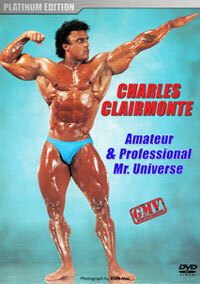 This is our first ever feature showcasing Asian bodybuilding champions. 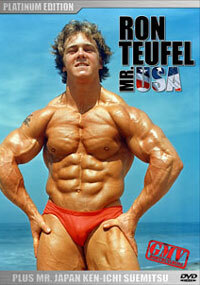 Please click here to see more of FRANCO COLUMBU in Arnold the Early Years, PCB-250DVD. 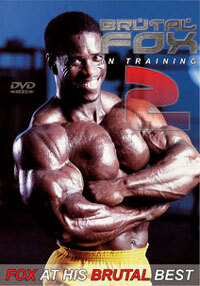 HIDETADA YAMAGISHI, please click here for PCB-207DVD. ERYK BUI in PCB-600DVD and in PCB-1276DVD. 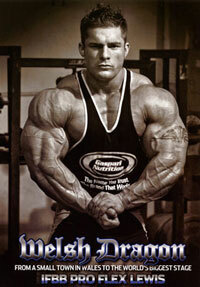 KIM JUN HO WORKOUT, please click here for PCB-167DVD. RAY ARDE in PCB-609DVD and in PCB-732DVD.